Are you in the process of planning a modern bathroom upgrade? Good choice. 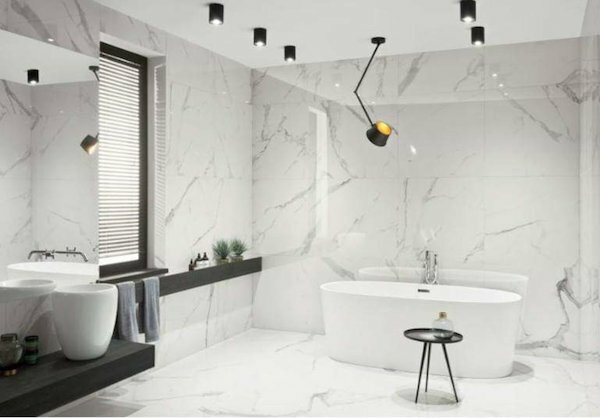 The bathroom is undoubtedly one of the most used rooms in the home and can provide a sense of luxury that helps you forget about the stresses of modern life. Moreover, it is a room that requires far less capital to generate stunning appearances while the investment can actively add to the appeal and financial value of the property. One of the hardest challenges, though, is knowing where to start. Quite frankly, your best bet is to start with the flooring and wall bathroom tiles. 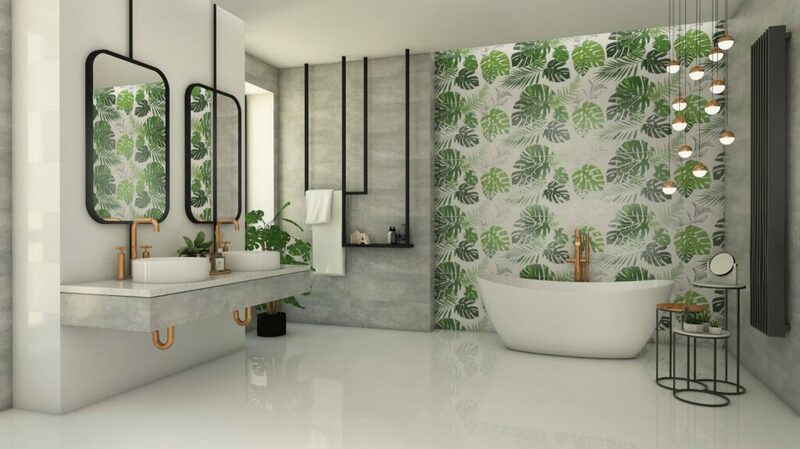 Here are the hottest trends and materials for the rest of 2019 and beyond. 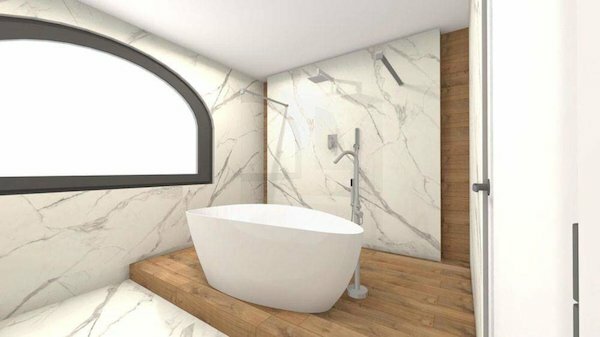 The marble look is one that’s synonymous with luxury, class, and quality. However, decorating even a small bathroom with marble floors can be expensive – not to mention difficult due to the weight of tiles. So, why not opt for marble effect tiles instead? Marble effect tiles offer the same level of style as authentic marble, but cost a fraction of the price. In fact, many homeowners prefer this option as every tile boast the same colour. Conversely, if you use two batches of genuine marble tiles, there will be a noticeable change in colours and patterns between the two solutions. From an aesthetic perspective as well as a financial one, this is a far smarter option. 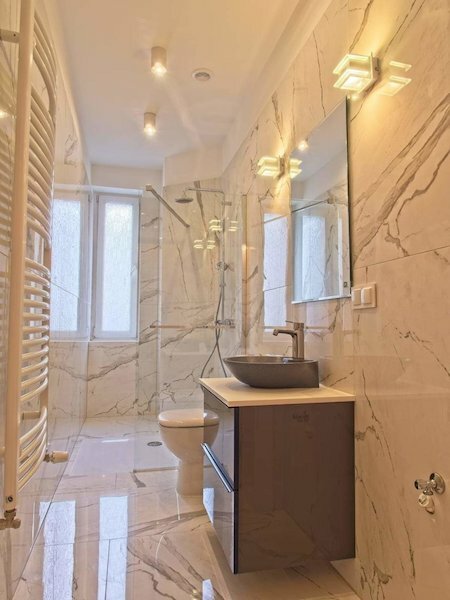 The marble effect tiles look great on the walls as well as the flooring and work particularly well with both white furnishings and metallic taps, whether they are silver or gold. They suit contemporary bathrooms very well. Subway tiles are characterised by their big, bulky, designs that stand out from the crowd. While they are built to replicate the brickwork used in public spaces, they bring a distinct touch of modern minimalism to the home bathroom. In most cases, subway tiles are light coloured (greys and whites) to help reflect the light and bring a happy atmosphere to the bathroom. They can be complemented to perfection with natural tones in the towels and the use of plants. Their versatility, however, means that they can be incorporated into themed bathrooms such as coastal, farmhouse, etc. to make a massive statement without shouting out for attention. Subway tiles are another solution that are perfect for the walls and can be utilised as flooring too. They have become an increasingly popular solution in recent times and will continue to thrive throughout the rest of the year and into 2020. Blue colour schemes are a winner in any bathroom, whether it’s opting for a modern finish or a traditional look. Navy blue tiles bring a depth to the walls and are capable of creating some truly stunning mosaics through patterns and block colours alike. Navy blue works particularly well as a feature wall, particularly when teamed with navy blue vanities. White and copper are great colour palette options for creating a luxurious contrast that’s sure to create a striking appearance time and time again. 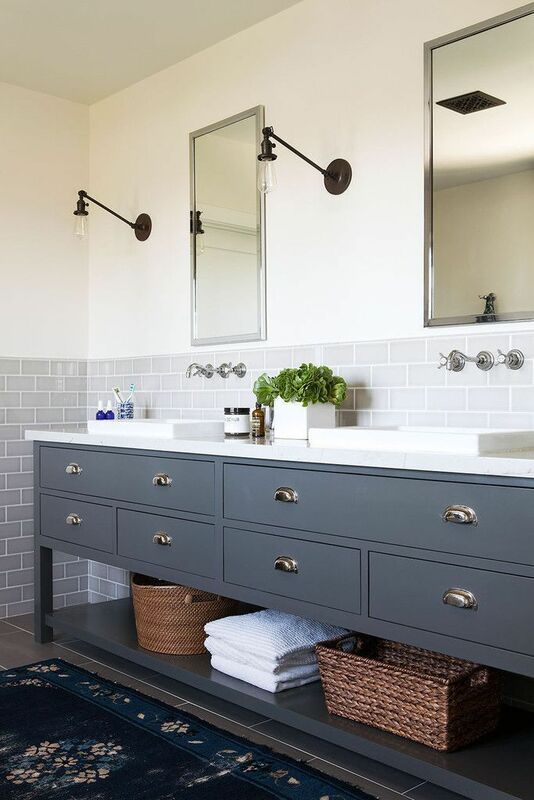 Navy towels and other items can be used to further enhance the overall vibe while a navy blue door sets the tone to perfection before entering the modern space. With various shades available, you can play around with the lighting and general layout in many different ways to turn the bathroom of your dreams into a reality. There’s no limit to what can be achieved. This entry was posted in Bathroom Tiles, News and tagged bathroom, bathroom tiles cork, bathroom trends, floor tiles, shower tiles, tiles, wall tiles.